Erika Moen joins Fes, Tanya, and Mark to talk about herself, her art, and her adventure of becoming a full-time artist without even originally aiming for it. Fes, Tanya, and Mark discuss TIME TRAVEL! Yes, time travel as a subject of writing. Why kind of rule set would you use? Star Trek? Back to the Future? Doctor Who? Some really, really bad SyFy Original? 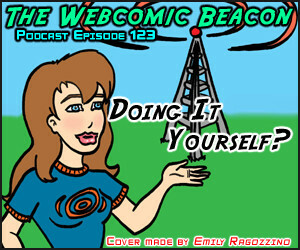 Webcomic Beacon #123: Do It Yourself? Eric (Exiern) joins Fes to discuss ComicPress’ new build, ComicPress Premium. 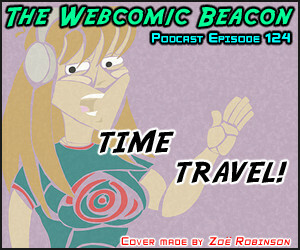 We also end up discussing the “It’s time to pay” model in webcomicking these days. Also a touch of writing vs art. This is an impromptu episode, so this is a bonus for everyone! I will say that one should decide for themselves what form of WordPress publishing works best for them. Wait for the final details of the “ComicPress Premium” before deciding, since the site is incomplete. ComicPress 2.x will still be supported, as I’m told. Webcomic Beacon #122: Photo Comics! 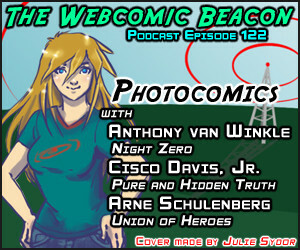 Anthony van Winkle (Night Zero), Cisco Davis, Jr. (Pure and Hidden Truth), and Arne Schulenberg (Union of Heroes) join Fes, Tanya, and Mark to discuss Photo Comics! We’ve done this episode once before, but now from many perspectives! An impromptu Skype messaging with Melissa Kaercher (aka “Chebutykin”), turned into an invitation to a podcast recording! 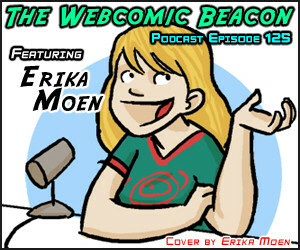 So check out Episode 58 of The Geek Life as Mark and Fes talk about webcomics and go off tangent!